I’m not a coffee person. At all. Don’t get me wrong, I love the smell of it, but the taste. . . not so much. 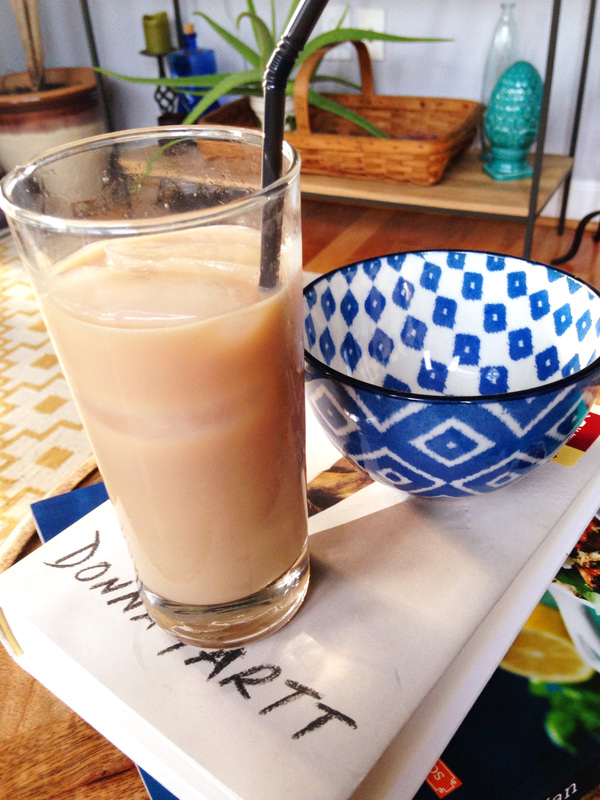 Chai tea lattes however, are one of my favorites. Typically when I’m in the mood I’ll head to Starbucks, but I’ve noticed more and more how incredibly sweet it can taste depending on the barista. Sometimes I’m only able to drink half before sweetness overload hits. Kind of a waste. I went online to check the sugar content. I only get a ‘tall’ mind you and that alone contains about 36g of sugar. A ‘grande’ has 48g. Considering the average maximum sugar intake for women suggested by the American Heart Association is 25g, one tall chai tea takes care of my intake for the day and then some. The other night I thought, why don’t I just make my own, allowing me to control the sugar? I used honey as my sweetener, but you could use Stevia, coconut sugar, agave, whatever floats your boat. Three tablespoons of honey works out to about 51g of sugar, but diluted over 8 cups of water it mellows out to 6g per cup which is much better than the Starbucks version. This recipe couldn’t be easier, contains just a few ingredients and takes no time at all. I’m drinking one right now as I write this post and enjoying every sip of it! Over a high flame, heat teapot filled with water til simmering. Remove from heat, add the teabags and honey and let sit for about 30 minutes. Once cooled down a bit, pour into a pitcher and refrigerate. 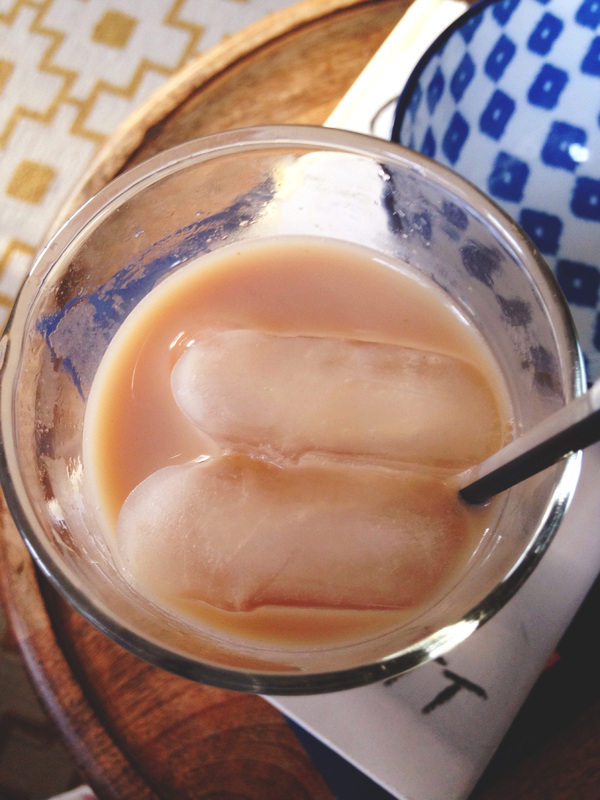 When ready to serve, simply add some ice-cubes to a glass and fill with a half-to-half ratio of milk to tea mixture. Give it a little swirl and sip up! If you wanted to make this hot, simply add the milk and tea mixture to a mug and heat up in the microwave or over the stove. 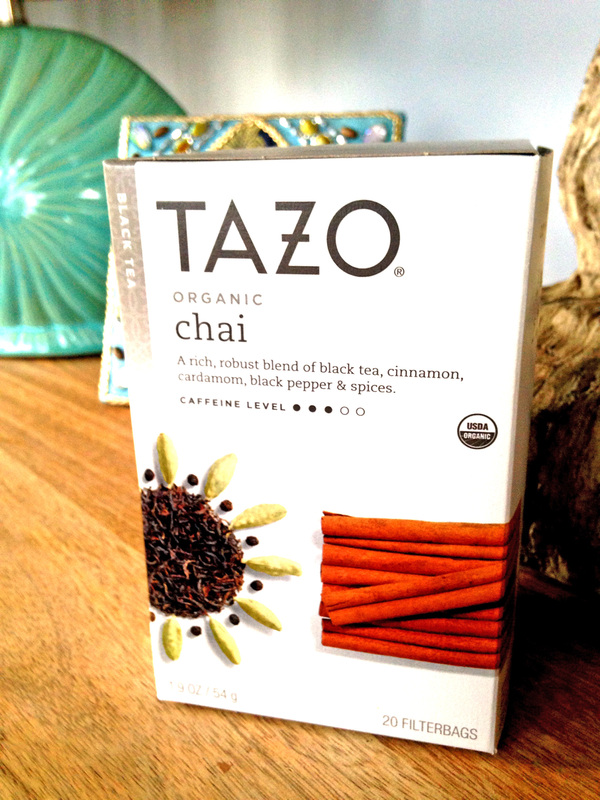 When I make a hot chai tea, I typically add some cinnamon and nutmeg to the top for an extra jolt of flavor. Super easy and refreshing way to start my Saturday. Enjoy your weekend everyone! Prev Cooking with the Italians! Mmm! Definitely want to try this one. Try it Annie! Miss you!